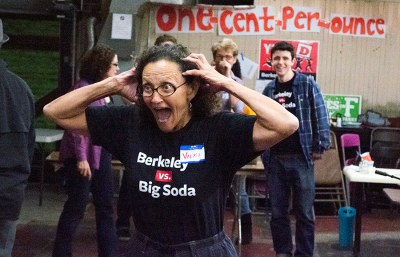 Measure D, which 75 percent of Berkeley voters supported, is a 1-cent-per-ounce tax on the distribution of sugar-sweetened beverages, with an exemption for distribution to businesses that make less than $100,000 annually. In doing so, the city hopes to raise funds for health programs and discourage the consumption of drinks believed to be related to obesity and heart disease. The tax goes into effect Jan. 1. In San Francisco, a similar measure, which 54 percent of voters supported, did not pass, because the measure, which earmarked revenue specifically for health programs, needed a two-thirds majority vote. 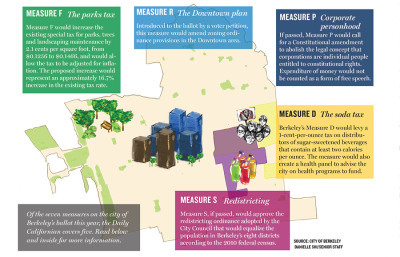 On Tuesday night, Measure D needed only a simple majority to win, as any revenue will go into a general fund for the city to spend at its discretion. The measure stipulates the creation of a panel of experts to help consult City Council on supporting health programs with the collected revenue. Councilmembers Laurie Capitelli and Linda Maio, both long-time supporters of the tax, placed an item on an upcoming City Council agenda creating a subcommittee to establish such a panel — developing the application form, determining the screening process and disseminating the application throughout the city. Unlike Measures R and S, which were divisive issues among council members, Measure D garnered City Council’s unanimous support. The city will also delineate guidelines and regulations for tax collection, a process that involves figuring out who the distributors are and how exactly to levy the tax. Capitelli said this process could take anywhere from three to six months. Despite the landslide victory, Roger Salazar, spokesperson for the No on D campaign, imagines there will be issues over who will end up paying the tax, arguing that the “lack of clarity” moving forward will make it difficult to determine who will bear the brunt of the tax. Auerbach also said the tax’s effects will likely have two components: a general decline in the purchase of sugary drinks as well as shifts in purchases from Berkeley to neighboring cities that don’t tax these drinks. After the Yes on D campaign’s considerable victory, the city also plans on publicizing its success over the next several months, providing guidance to help other communities move forward on their own measures. But Salazar was skeptical that Berkeley’s victory could be neatly mapped onto other cities, because Berkeley’s unique demographic and political makeup, he argued, can’t be found even in other progressive areas of the country. 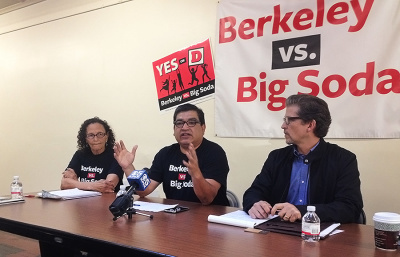 But at Wednesday’s press conference, Capitelli defended Berkeley’s precedent-setting tax.